Sometime ago we reported on the FAEA F1 Penguin, a quad-core smartphone which features a similar design to the Meizu MX2. 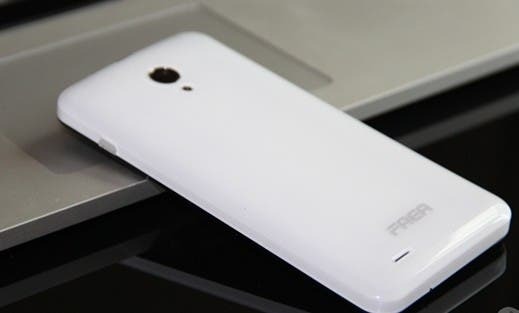 FAEA have announced that they plan to launch the phone on May 23rd priced at just 699 Yuan ($113). The FAEA Penguin F1 sports the same design and even the same pulsating home button ring as the range topping Meizu MX2. Where the phone differentiates itself though is in the price and hardware departments. Meizu’s MX2 costs from 2499 Yuan ($406) with quad-core Samsung CPU, 8 mega-pixel camera and 4.4 inch display. The F1 Penguin is also powered by a quad-core CPU but in this case its a Qualcomm Snapdragon S4 MSM8225Q clocked at 1.2Ghz with 1GB RAM and prided at just 699 Yuan ($113). Screen size is 4.5-inch with a resolution of 1280 x 720, there is an 8 mega-pixel camera on the rear, and if that wasn’t enough there is even NFC built-in. The FAEA F1 Penguin measures in at 128 x 63.8 x 10.3mm and weighs 140g. Like most Chinese phone makers FAEA will be making the phone available to their fans and forum members first. Thanks to Fabrizio for the tip!